Launch of the Poetry book ‘Collection No 4 - Poetry in the Park’ at the Athlone Castle this Sunday. 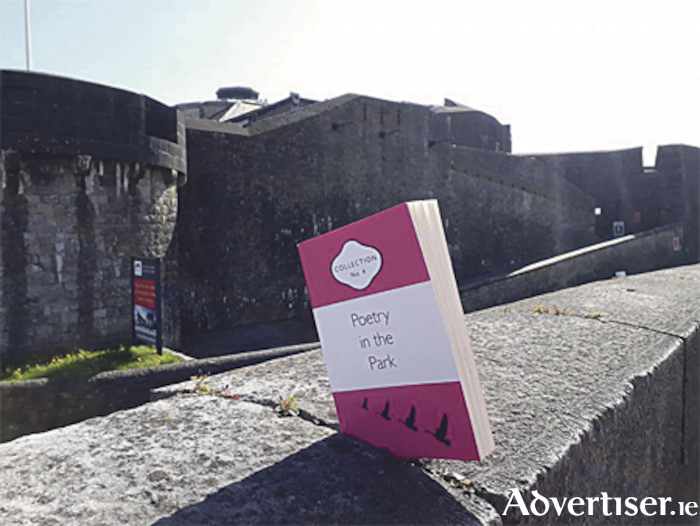 Poetry in the Park’s fourth book of poems - Collection No 4: Poetry in the Park - will launch this Sunday, May 6, at 2pm in the Athlone Castle as part of the RTE All Ireland Drama Festival fringe events. Poetry in the Park is a local poetry collective which holds recitals in Burgess Park, Athlone, on the first Sunday of every month at 2pm. All those interested in poetry are invited to attend and enjoy a celebration of the written or spoken word, to recite a poem or to simply listen. Collection No 4 was curated by AIT social studies lecturer Caroline Coyle during the past two years. Caroline says poetry has the power to bring together and unite so many different people in our community that otherwise may not have met. “Poetry as a medium for community engagement has the capacity to change people’s lives, and as an art form is vital to developing social capital for the community across all ages, races and abilities,” she said. Published by Bhí Mé Anseo Publications (Eugene McGivern ), with cover graphics by Rose Finerty, the collection features 79 poets and 167 compositions. The volume is dedicated to deceased friends Fintan O’Toole, poet, and Jim Doyle, artist, with works written in their honour featured between the covers. In addition, seven recently rediscovered works from Fintan are included. In February, 2014, Poetry in the Park received an EPIC Award for its work in the community. The EPIC Awards celebrate the 60,000 voluntary arts groups across Ireland and the UK.